Ratna Shah – Page 2 – LIVE THE MUSIC IN YOU ! This is the Most Innovative Project From Pune Hip-Hop! Completely a Fresh Approach Towards Rap. I composed , produced, arranged the music, and mixed this. So loved composing it, then arranging music, and then writing the tarana vocals, and then mixing the music . Listen to it and enjoy. Cheers. Am really happy for this endeavour. Feels really satisfied. Recorded at -Realizations Media Pvt. Ltd. This sound track is made specially for dancing to the Procession of Lord Ganesha, on Ganesh Chaturthi. It’s an original music by me. Listen to it and say “Ganpati Bappa Moriya” !!! If you like percussions, i bet you will like this!!! Origin of Sa Re Ga Ma Pa……!!! While there have been different approaches that explains the origin of Music(Sangeet) in indian history, few going by the mythology, few by the psychoanalytic approach of Sigmund Freud and James Long, and much more written in epics as well. But since there have been conflicts about declaring that one fact, all the stems have been accepted and not just one is universally declared to be the sole fact for the origin of music in India. While I just came across one of my old book of theory of Music called Sangeet Visharad – by Vasant , I came across this amazing fact, that again becomes a part of those varied explanations for the Origin of Music. And since its really really interesting,I thought of sharing it with you all. While all of you must be very well versed with the names of seven notes(swara by indian terminology), the basic key elements of Indian Classical Music, Sa Re Ga Ma Pa Dha Ni Sa( I shall write the full names of these notes below), You will find it amazing to read one of those explanations that says, how these were found! The Writer of “Sangeet Darpan” – Shri Damodar Pandit had an opinion, that Music was originated by Brahma, who created Vedas in India. He emphasized on “Margi Sangeet”, saying that, Bharat Muni experimented this form of Music in front of Lord Shiva(Mahadev),and that Margi Sangeet frees one’s soul. According to this analysis, many have supported this, as this was even discussed in other approaches as well, that discussed the origin of Music. Taking this explanation further, Shri Pandit, explained the origin of seven notes of Indian musical scale, from the animal kingdom. And believe me you will be surprised to read where they originated from. So next time you see these animals, remember which Indian notes they produced!!! Interesting! One of those Amazing Facts that explains the origin of Indian Classical Music. For further more information on this, there is loads of information on Google uploaded from the scriptures as well as the epics written on Origin Of Indian Classical Music. SEVEN notes are same- but indian music reads SaReGa while western reads C D E -then where is the difference? My last blog brought me to communicate with people all around the world on Linkedin specially, where the conductors expressed how they loved their own instrument and what made them stop by as they were touched to core. I wanted to share a jist of what i loved the most from what they shared and am sure most of you would love to know too. All instruments are unique and they touch every one at different emotional levels. As a musician , i might say, ” It is that one particular instrument i play,( for eg a guitar for a guitarist) that is my favourite or another that would touch my soul”, but as a composer, arranger, conductor we land up on a wide horizon, where every instrument speaks for itself, stands for its unique sonal quality, emotionally touch us on different levels. And as a composer or a music producer, its really difficult to zero down on a choice to one music instrument in this approach approach conflict. For today as i was wondering what i will write, coz nothing in peculiar inspired me to write todays blog, i knew this was coming one day in future while i will write. I came across this very beautiful link and i would love to share it to all of you who are pursuing either of the music form,Indian classical music and western classical music. It is specially for those who are in to Western music and want to know what indian music is all about. While we have seven notes all around the world, eight yet to be discovered, All seven notes when sung are interpreted in different languages like Sa Re Ga Ma Pa Dha Ni Sa in Indian Classical Music while C D E F G A B in western music. Why is that so, that inspite of the same notes all around the world we use, music sounds different. Its interesting as i watched this video. Beautifully explained in nutshell. Its a must watch for all those who are intrigued by Indian Classical Music. While i have completed my graduation in Indian classical music, (sangeet visharat), western music always intrigued me coz of the theory of harmony. While Indian classical music is a lot about melodies, ornamentation, which we find in light classical too like gazals and sugam sangeet, Western music has a unique aspect that we dont find in Indian classical music and that is the harmony and the chords. When we make music, we intend to fill up gaps in Indian classical music, it heavily relies on melodies. ON the other side, western music has harmonies. This is what makes Western Music set apart , very unique. While i was upgrading my knowledge on Western Music, from the Indian classical i understood, it was that “harmony” part which was always making me curious. Something that is really really beautiful about Western Music that is not in our Indian Classical Music is the Theory of Harmony. Indian music is completely about creativity and composing if you see what theory they teach. The Bandish, the Alap tanas, and the Khayal is all about creating melodies within one avartan – the given measure. The only difference i found was about the theory of Harmony, which does not exist in our Indian music. And so our indian classical music has more ornamentation, else it would become monotonous since we wont have harmony. Otherwise, its just a different language where basics remain the same. All seven notes remain the same. Formations will stay the same but the way to express each formation will vary along with modulations and this will make both music very very different from each other. Am sure you are here coz you want to know more about Indian classical music. So follow the link below to see the video. It wont disappoint you for sure. Do share your say on this. What do you like the most about Indian Classical Music. What do you think will differentiate the Indian classical Music from the Western Music. What do you like the most about the Western Music. And last but not the least, Music is universal. It is truly Sa Re Ga on one hand while the same being read as C D E on the other!!! Inspite of the differences,Music is more about expressions of emotions , than mere knowing the particular art form. Seven Notes shall stay the same all around the world. ” Favourite MUSIC INSTRUMENT?” -Which Magic touches your soul? I shared about the core of producing music in the last blog. I was glad to know that, inspite of us living in different countries, All of us as a musician has a same core in us that drive us towards one simple thing “LIVING MUSIC OF OUR LIFE” and that is we all are born to create music, and it is an extension of ourselves. I would like to talk about just not the instrument we have picked to take on our journey, but also That one magic (instrument) that touches our soul. Talking about me myself, this might seem to come as a surprise! But i have Graduated in North Hindustani Classical Vocal Music. (Graduated – Sangeet Visharat ) I began learning at a very young age. And MUSIC entered my life. The first instrument i earned in my life was harmonium. It was an ancestral property of my grand father which was inherited by me. Because I was the only one in my whole family to get this far in music. This instrument would be more than 200 years old. And i have still kept it. 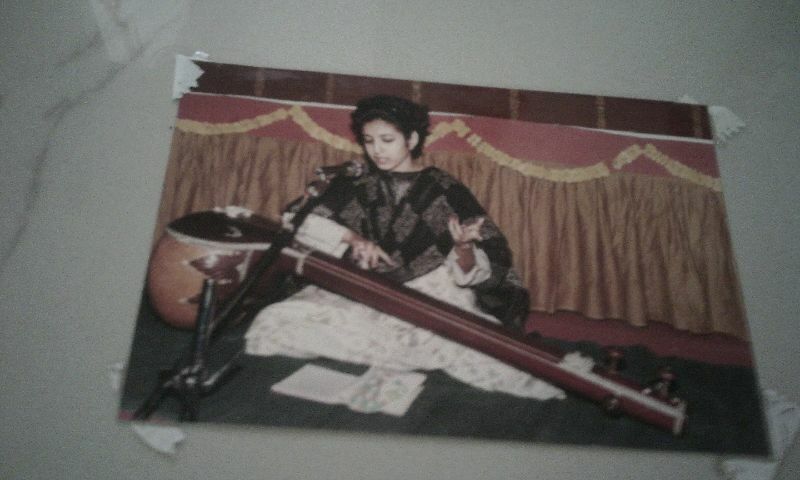 Post that i began learning and came across my life long companion you see in the pic- Tanpura. I was sooooo happy, the day i got this back home. My sir, Guruji Shri Divyang Bhai Thakore taught me to tune all the four strings, and even get that resonance by adjusting the string “jwari”. I began replacing my strings on my own and cant explain the trance, while i use to play and rehearse. 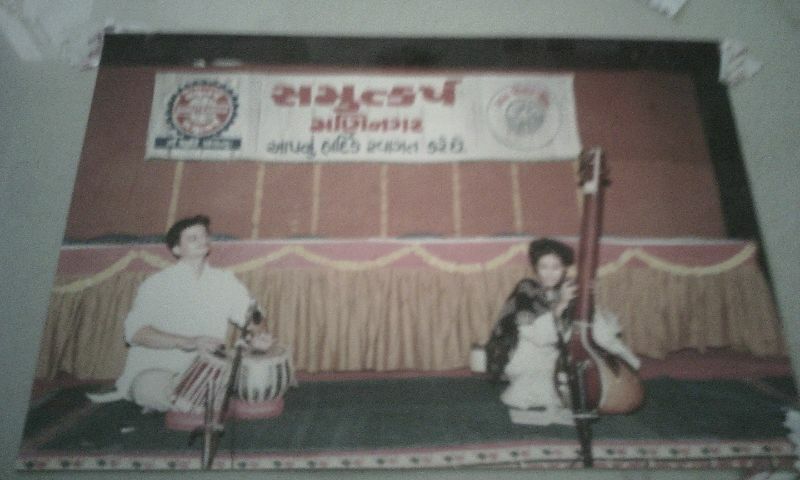 Next i remember about instruments was the tabla, that i learnt a bit as it was one of my paper in my class as we had to choose one instrument to learn apart from vocals. Next was the keyboard – YAMAHA PSR I425 . So i did come across just a few of those indian instruments. 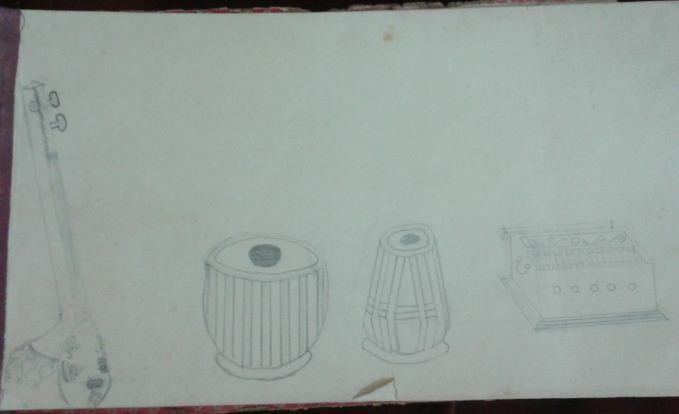 Yes i did know about the “manjiras” percussion -metal ,tabla dholak, mrudung, that we use to play during bhajan kirtan , when i was a kid. And after that i came across, guitars, piano,drums, octapads, sitar, flutes, violin, mandolin,tabla , dholak, and various other percussions during music performances. If i have to choose one of that music instrument , it could be so so difficult. Am a composer, arranger, and a song writer, and that also i produce music by midi and almost all instruments play a fair role in my compositions and arrangements, coz i am not a pianist, or a guitarist whose music shall be influenced by that instrument they play. So fair! If i have to choose which instrument would touch my soul?, I think i shall say guitars. Acoustic guitars touches my soul. As a kid i was fond of sitar,But then i like piano too. And then i like flute too. My sir use to play flute. And he had a varied collection of flutes with him. Its difficult to say about my favourite one! I have an arrangement where i have programmed sitar in music. I do have an arrangement where i have flute. Guitars. I do have one piece, that is close to my heart , i got the sound i wanted for it. So i wonder seriously which one could be my favourite. Am not a musician who picks up one instrument and plays. So its difficult to choose one. I have loved piano too. I think in general string instruments touches my soul a lot. It could be coz of the frequencies produced by them, that make me connect back to my Tanpura ( four string instrument) which i use to play while rehearsing. But acoustic guitar touches my soul and so does a flute. I have this difficulty choosing between the guitar, flute and piano. I do love my synthesiser a lot, but then still an acoustic sound touches my soul more than a synthesised sound, which is why i say guitar or piano. Have always been fond of the unique sonal quality of every instrument. I have explored a new world with them. And i love to be there. The instrument that would touch my soul would be a piano or an acoustic guitar. So which is your favourite instrument? Which was the first instrument you picked up? How? Which is the magic(instrument) you think touches your soul?